Tom Eneas “Soorimpt” is an outstanding example of the new generation of Northwest Coast Native Carvers. Born in Penticton, BC in 1970, he moved to Vancouver in 1989 where he lived with his mother, Verna Baker. In 1991 Eneas began studies in Northwest Coast form and design, branching into painting in 1993. 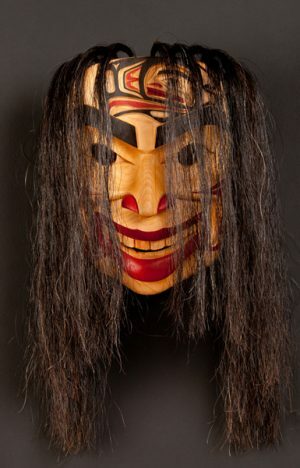 In 1994 he first began to carve and was fortunate enough to come under the guidance of Kevin Cramner, a renowned Kwakwaka’wakw carver. In 1995 Tom was honoured when invited by the Esquimalt Band to redesign and paint their Longhouse. 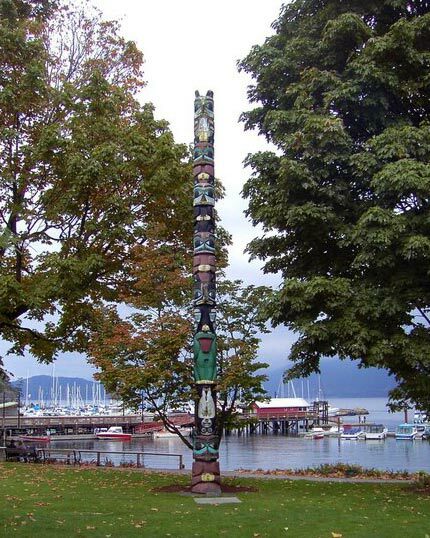 His work was further recognized when he was asked to participate in the carving of a large totem pole that now stands in front of the Vancouver Technical School. Tom’s work garnered my attention when he participated in the Artist in Residence program at the Vancouver Art Gallery, during the Down from the Shimmering Sky exhibition.